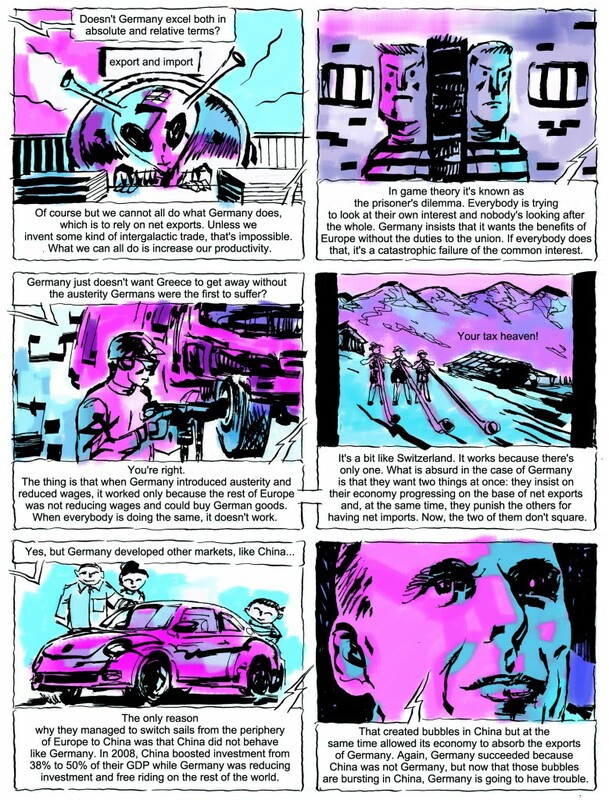 An illustrated interview with former Greek finance minister Yanis Varoufakis. Last year, there was an unusual stretch when the finance minister of a small country (and a Jacobin contributor) became one of the most important figures in the world. 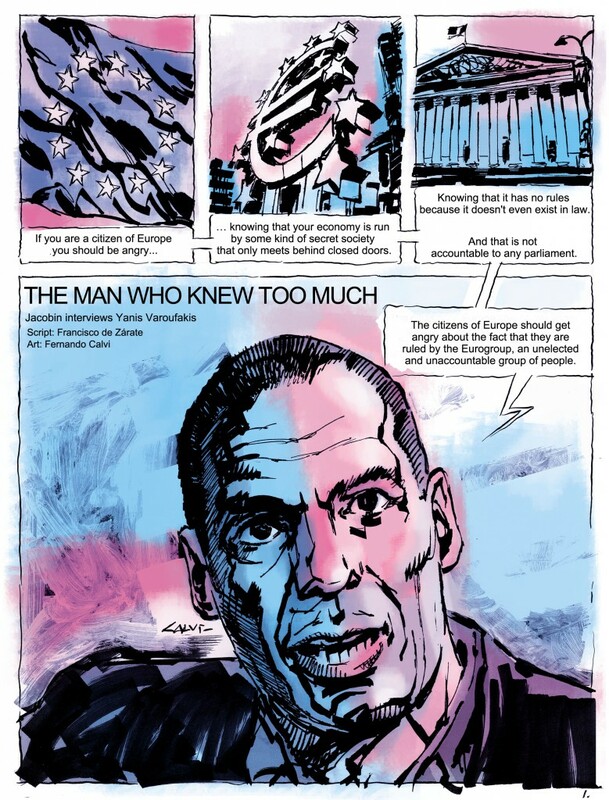 Yet the emphasis on Yanis Varoufakis’s compelling personality, his relationship with European officials, his physique, and his game-theorizing all seemed to distract from more serious political debates about the nature of the eurozone and the few alternatives open to Greece. Now that he’s no longer in government and the whirlwind around him has died down a bit, we sat down with the former finance minister to chat about the undemocratic euro, Germany’s role in pushing austerity, and whether he has any advice for UK Labour Party leader Jeremy Corbyn. 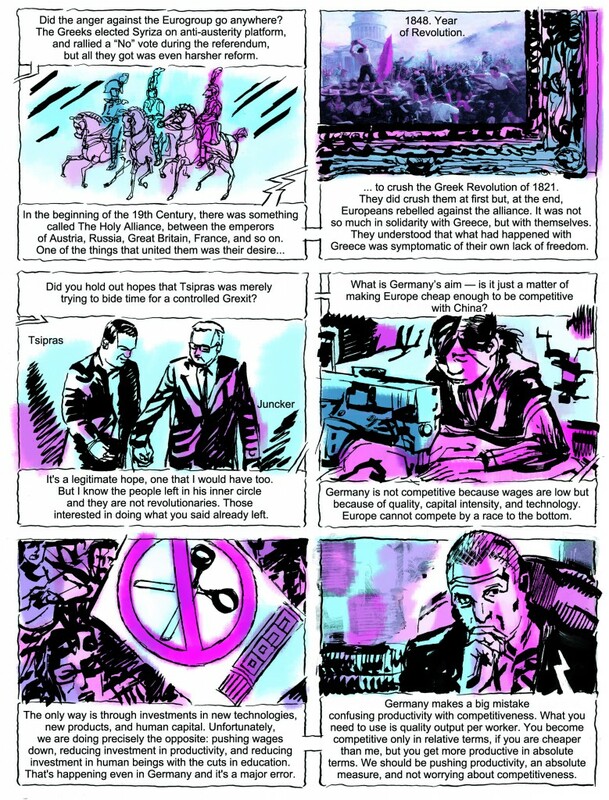 And fittingly for a figure depicted as something of a cartoon villain in the business press, we decided to illustrate it. 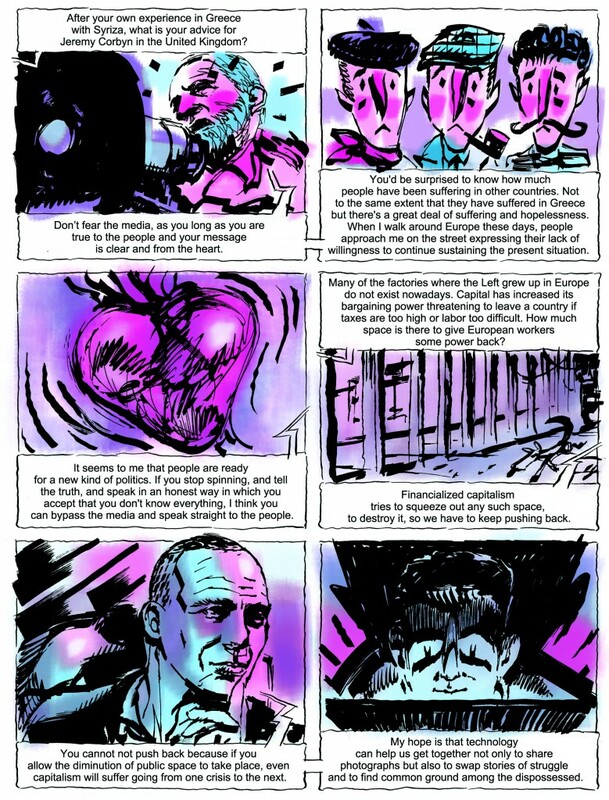 The interview was conducted by Francisco de Zarate, a journalist and comic writer with the Argentine newspaper Clarin, and illustrated by Fernando Calvi.